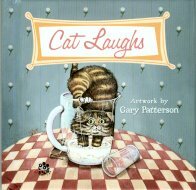 This humorous gift book features Patterson's description of the various cats in his life with his accompanying illustration. The hardback book is 4 3/4" square. 55 pages. NEW.